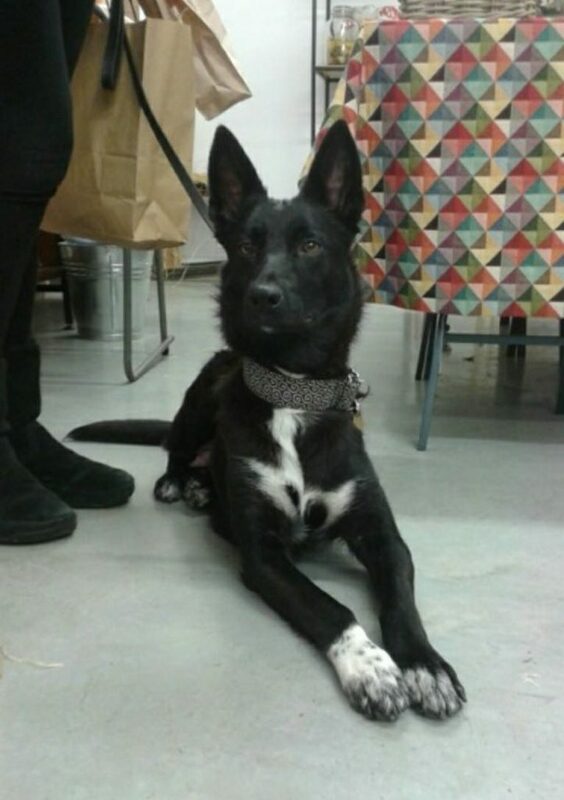 Eppie is a approx 14 month old border collie / German shepherd type female. Eppie is a very friendly, loving girl who loves attention and rubs, though she can be nervous around loud noises or loud people. She loves playing with bigger dogs, especially if they like to wrestle. She has some best pals which also include smaller, bomb proof dogs. She tends to be herding and intense in her play. Eppie is a medium energy who needs a daily walk. She knows how to sit on command and is house and lead trained. As a herding mix, she can be a little too switched into having a job, she’s getting loads better but needs on going training. Eppie has been spayed, fully vaccinated and microchipped.